A site about food and food in restaurants? Then you perfect template VT Food from otizvestnoy studio Vtem. 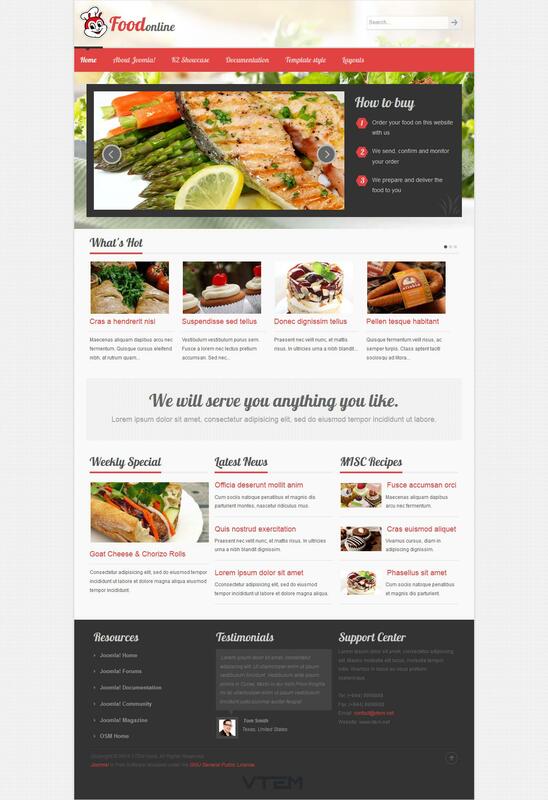 VT Food - light and easy template supports Joomla 3.x If the purpose of the site - to tell about food (any) or about places where you can eat, you definitely will not be disappointed in it! Especially because the pattern is simple and intuitive, as visitors and editors of the site (ie, you). When using VT Food, users will be extremely convenient to visit your site, no matter where they are. Provided that "rubber" design, fast loading content, and support for all browsers. Another plus - four color style that will give the ability to customize the template "for themselves"!